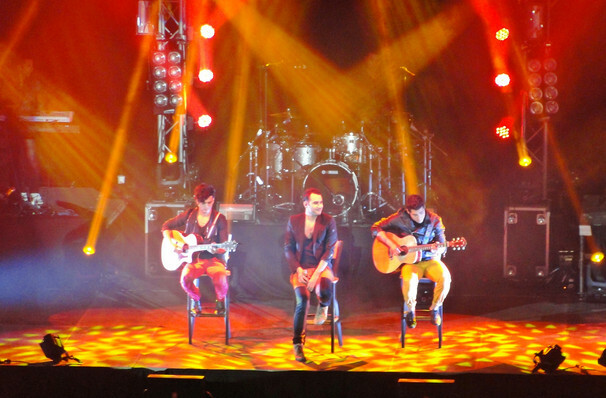 Nowadays no strangers to the heights of the Latin pop charts, Baja California natives Jesus Alberto Navarro Rosas, Julio Ramirez Eguia and Gilberto Marin Espinoza formed Reik in 2003. Their first demos Levemente and Ahora sin Ti became instant underground hits, putting them on Sony's radar. After signing with the major label in 2004, they released a self-titled LP, a crossover success three US Latin chart-topping singles. Don't miss the rocking trio as they hit US shores on tour. From romantic ballads, to upbeat pop anthems, to duets with famous friends, Reik's latest release Des/Amor typifies the band's authentic musical style, one that translates to exciting live shows devoid of gimmicks. When it comes to performance, these boys are the real deal, playing their own instruments. Rosas' romantic, sonorous voice has fans swooning left right and center as they sing along to soaring choruses and riffs. Sound good to you? 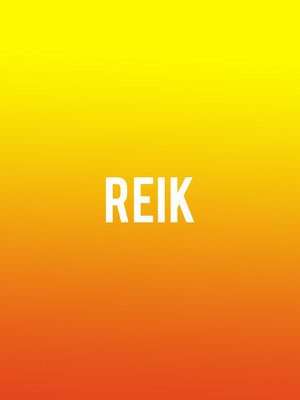 Share this page on social media and let your friends know about Reik at Warnors Theater. Please note: The term Warnors Theater and/or Reik as well as all associated graphics, logos, and/or other trademarks, tradenames or copyrights are the property of the Warnors Theater and/or Reik and are used herein for factual descriptive purposes only. We are in no way associated with or authorized by the Warnors Theater and/or Reik and neither that entity nor any of its affiliates have licensed or endorsed us to sell tickets, goods and or services in conjunction with their events.